Every January I sit down with magazines, scissors and glue to make a wish board. Every January for the past three years I glued a picture of a sophisticated dish on a large white plate to represent a meal at Michelin-starred restaurant. As per visualization law, I imagined myself all dressed-up sitting in a fancy dining hall and eating a 9-course dinner. As per Murphy’s Law, I happened to have my first Michelin-starred meal served on a paper plate at a hawker center. 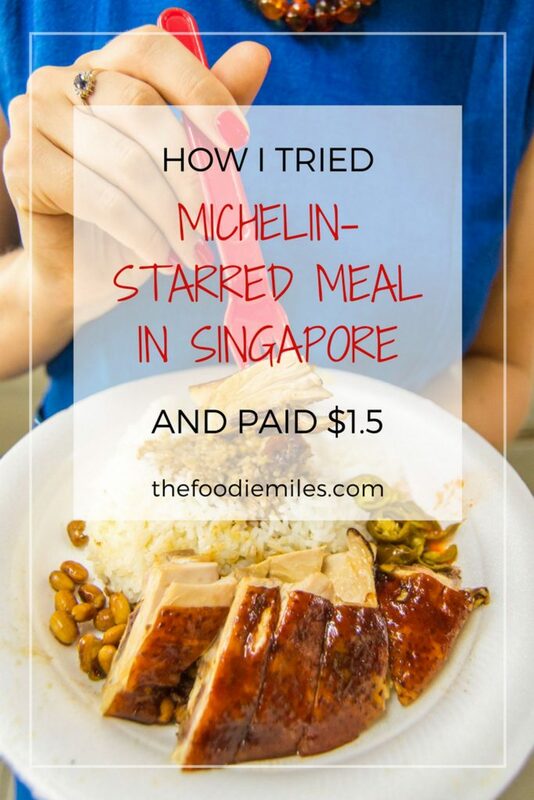 You see, my first ever Michelin meal took place in Singapore, at the cheapest Michelin star restaurant in the world. In 2016 Hong Kong Soya Sauce Chicken Rice and Noodle, an unpretentious stall in Singapore hawker center, received 1 Michelin star. 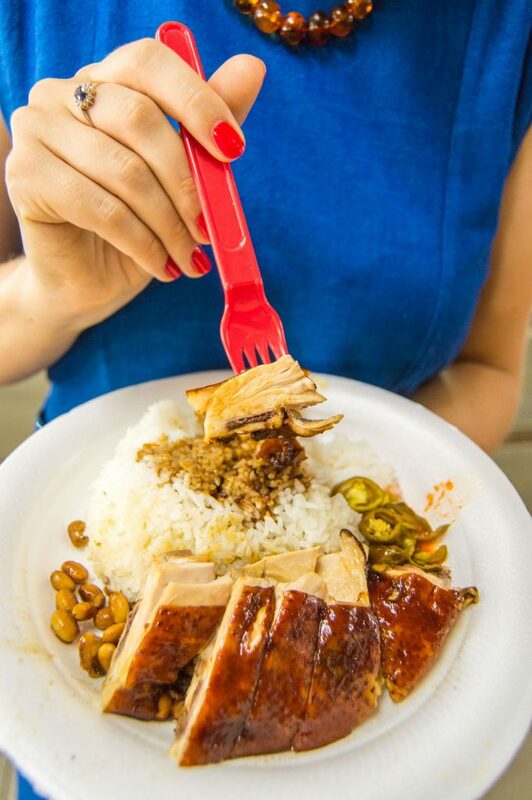 Trying their chicken rice, Singapore’s national dish and the cheapest Michelin-starred meal in the world, will set you S$2 (US$1.5) back. 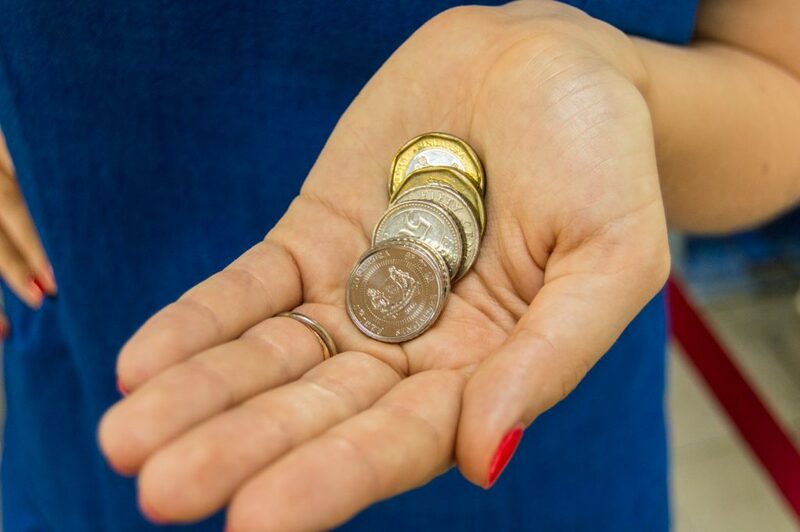 Four Singaporean dollars will get you a lunch for two at the cheapest Michelin-star restaurant, located in Singapore. To say eating here was on the top of my Singapore agenda is an understatement. I headed to China town on the first day in the city straight after a 24-hour flight. Hong Kong Soya Sauce Chicken Rice and Noodle restaurant. The new branch opened after the hawker stall received a Michelin star. Google maps was adamant I was in the right place. The line in front of the door also indicated I was in the world-famous hawker center stall. What exactly a hawker center is I didn’t know on my first day in Singapore and that was the source of confusion. Something felt off. What I am going to say next will sound strange, but… finding a clean comfy restaurant instead of a small street food stall felt disappointing. As it turned out, the instinct was right. The restaurant in front of me was a newly opened branch. 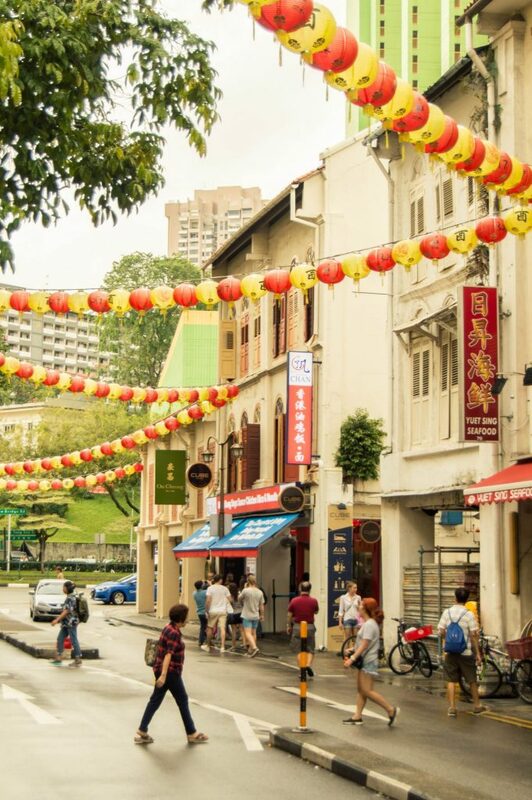 To find the original stall all I had to do was turn around and walk into a complex across the road, for that’s what a hawker center is – an open-air complex with many stalls inside selling inexpensive local food. I could have the exact same food at the comfort of an air-conditioned restaurant opened by the same chef, but technically that restaurant doesn’t have a star. 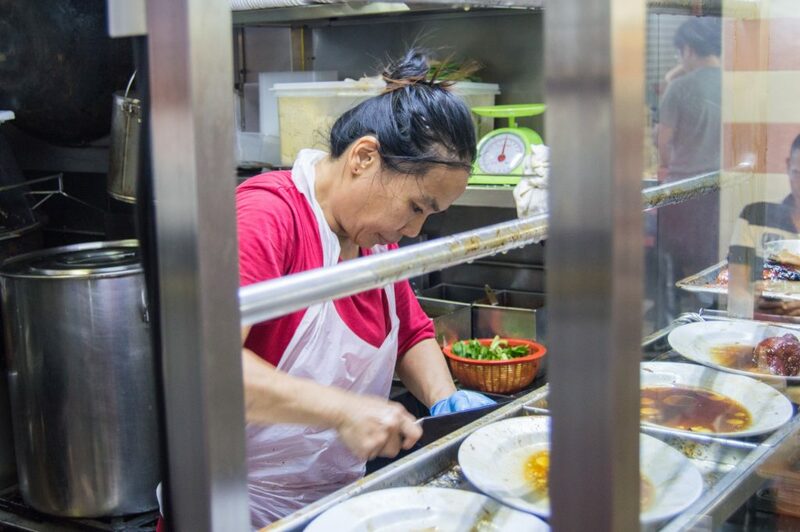 The chef, Chan Hon Meng, received his Michelin star for the hawker center location and it doesn’t automatically apply to other restaurants in the chain. 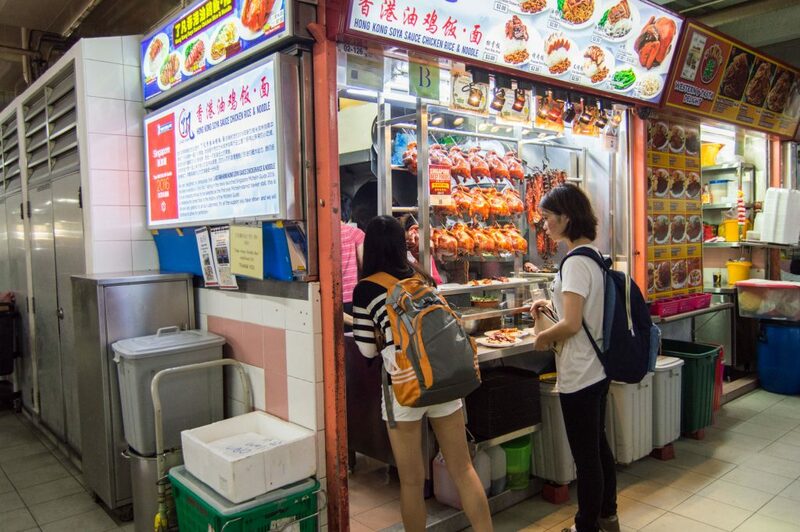 There’s no distinction between Hong Kong Soya Sauce Chicken Rice and Noodle and other stalls in hawker center, except for the long queue of hungry tourists with phones and cameras in hand. I am guilty of being one of those annoying people hanging out near the grill in hopes of a perfect shot until I was scolded by the cook and asked to move. Well deserved, Yulia. Reviews online will try to scare you away by saying there’s a two-hour wait line, but in my case it was only half an hour. Two minutes after placing an order I was holding a plate of hot chicken rice in my hand still unable to believe I am about to have my first Michelin meal. 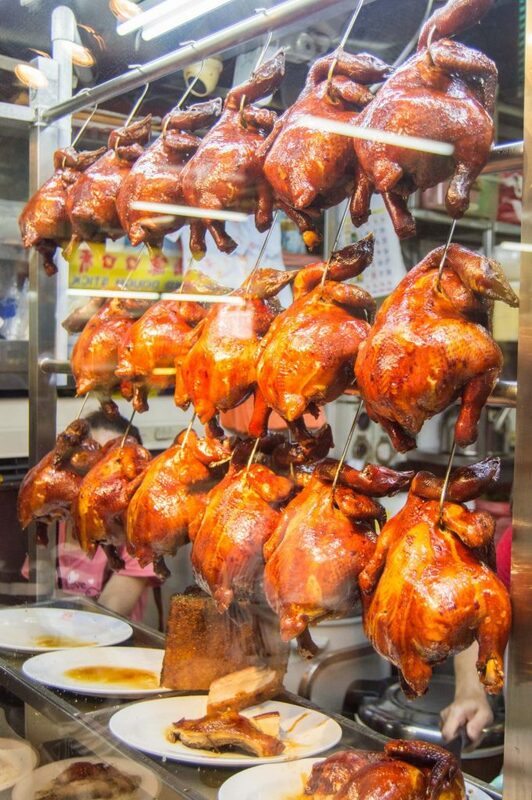 Chicken rice is something you will find on every corner of Singapore, in both street stalls and upscale restaurants. The seeming simplicity of this dish is what wins you over at the first sight: poached chicken served on top of white rice with dipping sauce of freshly minced red chili and garlic. The chicken, moist and juicy, fell apart once I poked it with my fork. Funny story about the fork: I got it along with a kid’s meal that a very caring Russian flight attendant sneaked out for me during the flight to Singapore because he thought I might enjoy kid’s pancakes more than a regular omelet. So I took the fork with me and I use it now instead of plastic cutlery when I eat out. It was my first ever chicken rice, so I had no point of reference to say whether this one was better than any other in Singapore. It was a genuinely good meal, but I couldn’t shake off the feeling that I expected a little bit more. I can’t help but wonder: would I feel different if I came to this stall before its international fame? Have you ever eaten at a Michelin-starred restaurant? 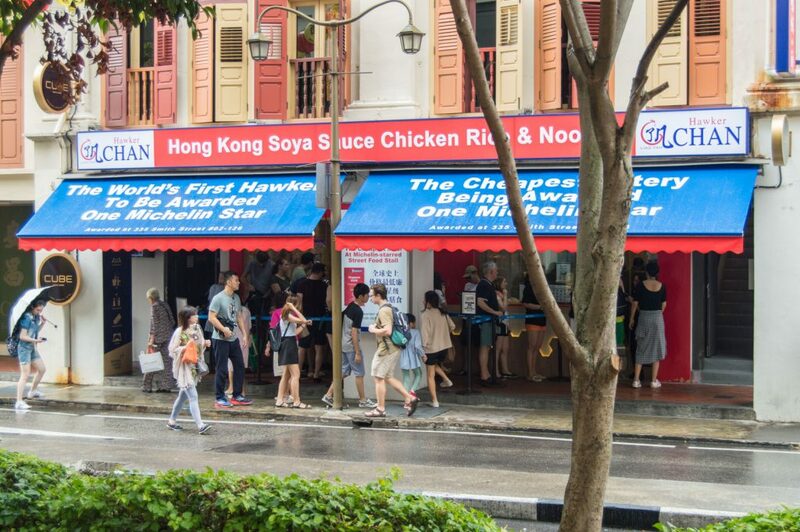 Would you wait in line to try chicken rice at the cheapest Michelin-star restaurant in Singapore? Love this, Yulia! So cool to visit a Michelin star restaurant and for it to be one of the most humble. I’ve thought about your question also – do my expectations of the restaurant (based on awards) cloud my judgment after I’ve tried the restaurant? What the chef said is a great reminder for everyone! Thank you, Anita! I am also happy that I got a chance to try it! I always imagined I would have to spend at least a hundred dollars for a Michelin dinner, so it was a great surprise. I guess, as human beings we tend to get influenced by media buzz and other people’s opinions. As a chef, you need to do your best every day. As a customer, one should keep an open mind, I guess.